My son learned how to blow bubbles last week. In the bathtub, not a pool, because who wants to haul a kid to swimming lessons and back home again when it’s -20. It was momentous and we cheered and cheered, all four of us clapping and high five-ing in our tiny bathroom. It is already one of the highlights of my year. (Also, he's currently reading "Swimming Swimming" to himself, though he really just skips through the swimming pages until he gets to the page where the characters eat ice cream). 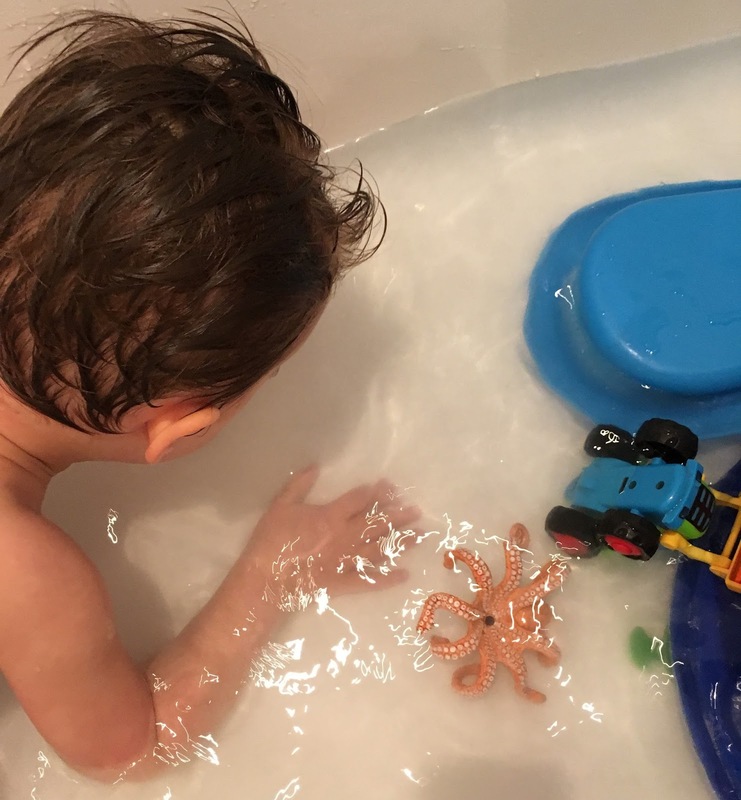 Though he just figured out how to blow bubbles, he somehow passed swimming lessons in the early days of December. It was the first time I didn’t take him and, I admit, it was a relief, not having to confront my deep love of swimming with his ambivalence that teetered on a full rejection...but he went, every week with my fella and they’d sing songs and dunk themselves under the water to varying degrees of upset and they’d come home and we’d all eat grilled cheese sandwiches with pickles for lunch. My comfort is that I also was ambivalent about swimming as a young kid. I distinctly remember the claustrophobic heat of Memorial Pool, the sheer terror of having to make it all the way across to the other side of Park Lawn Pool, my complete inability to tread water (I failed Red at least 3 times). In fact in 1985, I "could not muster up enough endurance to complete the distance requirement", and baaaaaarely passed Pre-School 5 with, and I quote: "Lindsay must continue to work hard to further develop her endurance on her front." Look at me now, Andrew Solomon (who is probably now in his mid-50s), I want to say as I spend every free waking minute I have swimming. Look at my hours-long front crawl! Related: a high school chum promised her daughter a badge for this round of swimming lessons, only to learn there aren’t badges! (GASP, THE HORROR!) so she commissioned me to make a penguin badge. I can’t wait till report card day!